​Southampton's Cedric Soares has completed his medical at Serie A side Inter, ahead of a six-month loan move to the Italian giants. The 27-year-old had been widely linked with an exit in some capacity, having fallen out of favour under new manager Ralph Hasenhuttl, and could now offer cover at right-back for the Nerazzuri amid concerns over Sime Vrsaljko's condition. Cedric Soares has agreed to join @Inter_en from @SouthamptonFC. Soares already in Milan for medical. Deal set to be confirmed this afternoon. Likely to be loan with £9.5m option to buy. ​Inter, sitting third in Serie A, had been considering options including ​Manchester United's Matteo Darmian, but have now settled on Cedric according to the ​BBC, who has completed his medical today in Milan. The deal will last until the end of the current season, and Inter are expected to retain a £9.5m option to buy - slightly more than the £6m ​Southampton paid to acquire him in 2015. 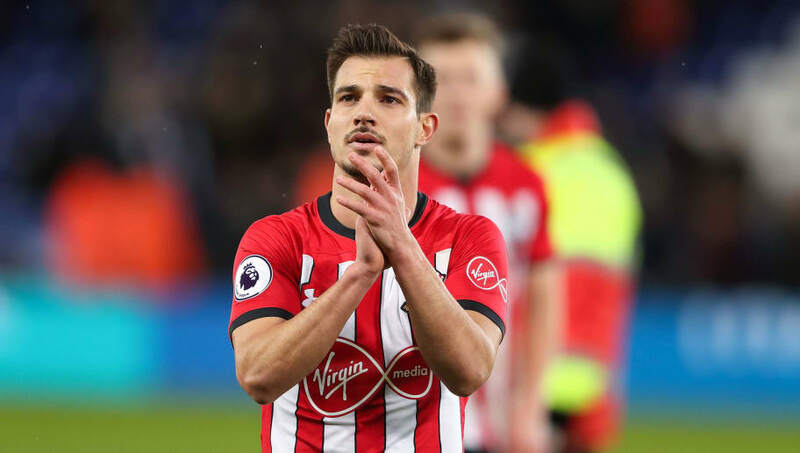 The Portuguese defender had been Southampton's first choice at right-back for the vast majority of his three-and-a-half years in England, but has recently lost his spot to teenager Yan Valery, and after new boss Hasenhuttl expressed his desire to trim his squad as he vies to steer them clear of the relegation zone, he appears to be one of the early casualties. Hasenhuttl is yet to move for any new signings with a week remaining in the January transfer window, but striker Manolo Gabbiadini is already out the door, while Steven Davis and Wesley Hoedt have departed on loan. They have been linked with ​Leicester striker Islam Slimani, but the dominant story surrounding the Saints at present is that of Cedric's pending departure.